Every child deserves a green start when entering the world, and since newborns spend most of their time in the nursery, making this sacred space as non-toxic and pure as possible is a key goal for parents. Whether you are decorating your baby’s nursery from scratch, and want to make it as eco and baby friendly as possible, or you are looking for helpful, easy ways to give your child’s nursery a green makeover, these 5 ways to green baby’s nursery will help secure the health of your baby while boosting the quality of her environment. Incorporate baby friendly plants such as Bamboo, Peace Lilies or Green Spider plants to remove lingering formaldehyde, benzene and trichloroethylene from the air. Open your windows daily for at least 20 minutes to create fresh air circulation. Exposure to this fresh air during the day will also help your baby sleep better at night. Can my child use this piece when he is a toddler or beyond? Does the piece have multiple functions and eliminate the need for another piece of furniture? Was it sustainably made? Was this refurbished or donated piece of furniture made from off-gassing materials such as MDF? If so, decline the offer for your nursery. If it’s within your budget to outfit your baby’s crib with an organic, natural mattress, try the COCO-MAT. And opt for organic crib bedding if possible. If you are going to paint the walls, use VOC free paints, which may be purchased from the Green Depot, Sherman Williams or Benjamin Moore to name a few. Wall art is a wonderful alternative to painting a room, and may easily be rendered in an eco-friendly manner. Try to choose art pieces that will grow with your baby and still make the room sing as your child grows up. All too often, parents design nurseries with themes which they and the baby outgrow after infancy. While it is ideal to purchase all natural and organic textiles and furniture for your baby and the nursery, this is not always an economic option. At the same time, if organic textiles and surfaces are washed with harsh, over the counter cleaning products, the consumer is defeating the purpose. One thing that everyone can do, is clean all of the nursery’s surfaces, furniture, bedding, window treatments, carpets, (and clothing) etc. 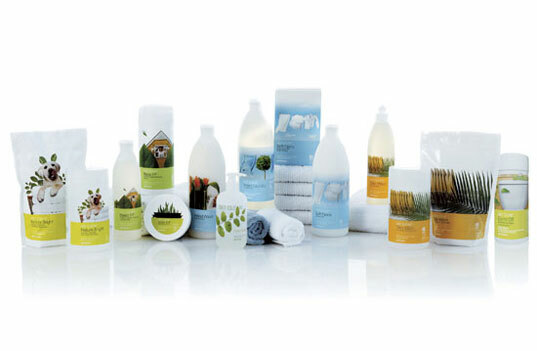 with eco-friendly cleaners. Here’s our tutorial on how to make your own non-toxic, green cleaning supplies. The indoor air quality of your baby’s room is highly affected by the cleaners you use. Using toxic cleaning methods will off-gas harsh chemicals into the nursery, will pose damage to your baby’s respiratory system and may irritate your baby’s skin. As a parent, you will be destined to purchase and receive an abundance of toys for your child. The rule of thumb should be, since it’s most likely to enter your child’s mouth, it should be as eco-friendly as possible. 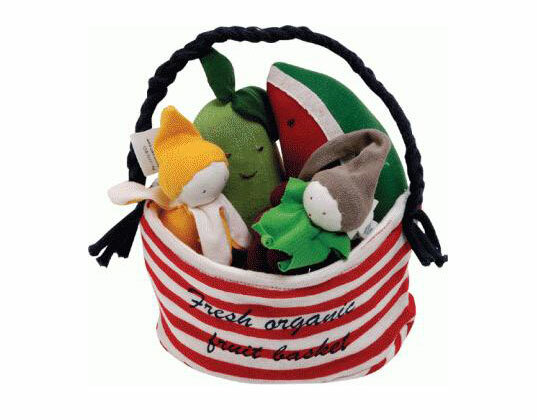 Incorporate or purchase toys made from all natural sources which DO NOT INCLUDE BPA, phthalates or PVC. Have fun creating a green nursery for your baby! If you have any ‘green’ nursery tips you’d like to share with Inhabitots readers, please do so in the comments section of this post! Every child deserves a green start when entering the world, and since newborns spend most of their time in the nursery, making this sacred space as non-toxic and pure as possible is a key goal for parents. Whether you are decorating your baby's nursery from scratch, and want to make it as eco and baby friendly as possible, or you are looking for helpful, easy ways to give your child's nursery a green makeover, these 5 ways to green baby's nursery will help secure the health of your baby while boosting the quality of her environment.